Chapter 12: Oxidation and Reduction. Unit 6. Naming Binary Compounds. Naming Binary Ionic Compounds - Type 1 1. The cation is always written first, then the anion. Copies of the POGIL activity and a periodic table for each student. In electrochemical reactions, electrons are transferred from one species to another. Learning Guide 3A Salts Chem 1010. If you could look at them more closely, here's what you would see. NOTE: Look in textbook for pages on Oxidation Number and Redox that are prior to Electrochemistry Chapter. Read and Review that material. Electrochemistry Oxidation Reduction and Oxidation Numbers. Many important chemical reactions involve the transfer of electrons. USEFUL DEFINITIONS. A substance which cannot be split into anything simpler by chemical means. 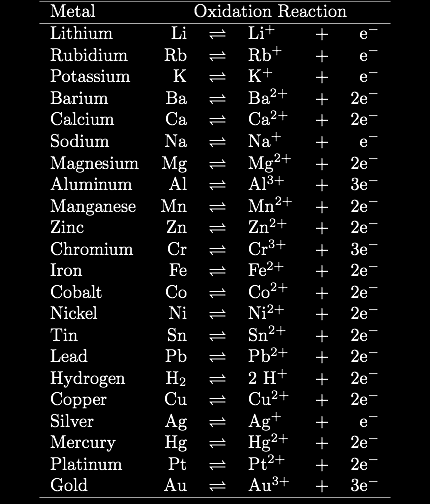 Formulae and equations 1 USEFUL DEFINITIONS Element Atom A substance which cannot be split into anything simpler by chemical means. The smallest part of an element that can take part in a chemical reaction. Electrochemistry. Chapter 17 Electrochemistry GCC CHM152. Ox # examples. Redox: LEO the lion goes GER. Oxidation Numbers (Chapter 4). Oxidation Number (O.N.) = a parameter which enables one to determine if a species is oxidized or reduced as the species undergoes chemical reaction. 12-1 SECTION 12 CLASSIFICATIONS OF CEMICAL REACTIONS As the number of known chemical reactions is enormous it is useful to be able to describe a particular reaction as belonging to a certain class or classes.